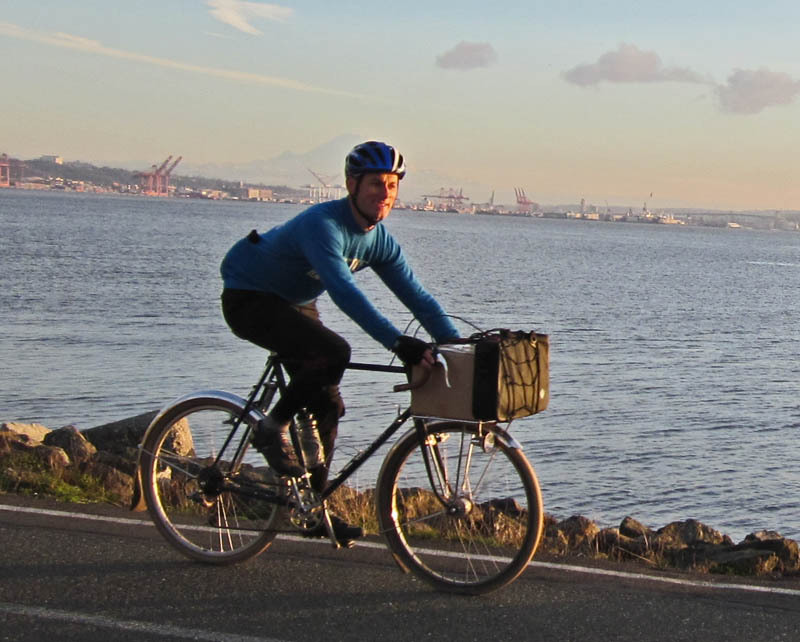 I loaded up the trusty Grand Bois Urban Bike with a 40-lb box of books and headed toward downtown Seattle. 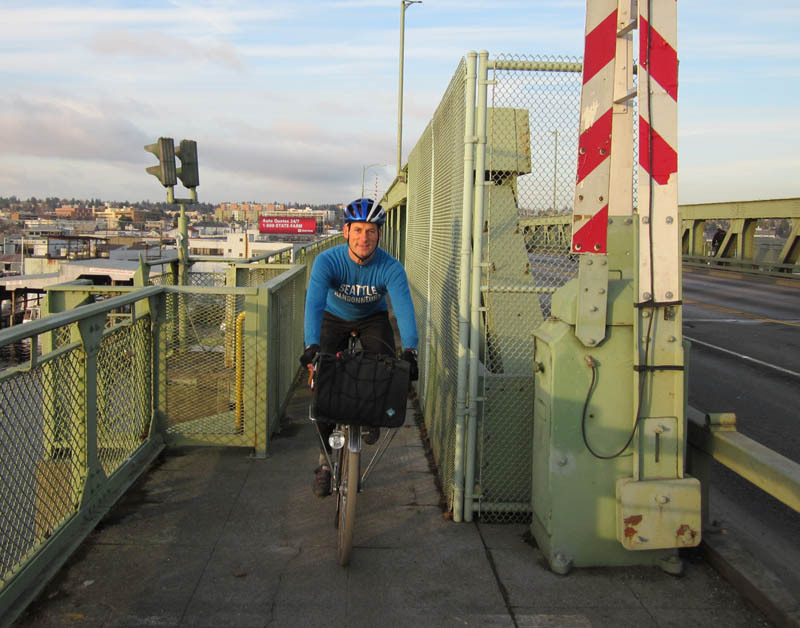 On the narrow bike path on the Ballard Bridge, I appreciated the secure handling of this bike even with a heavy load. 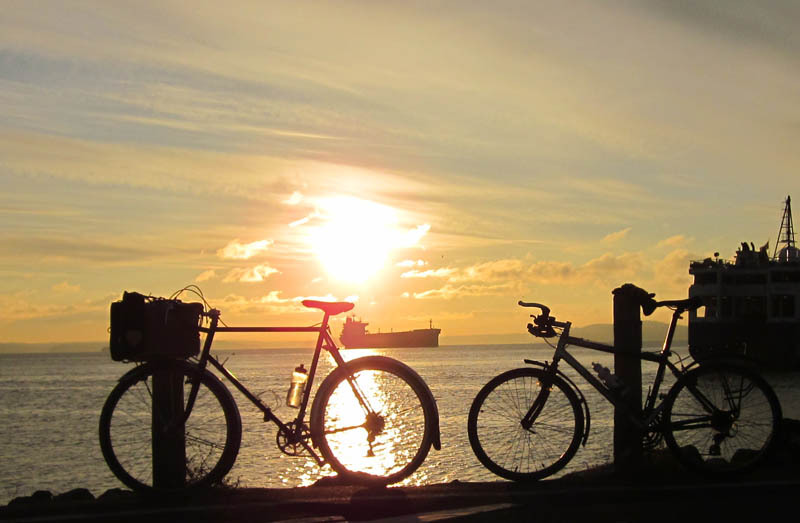 Rides like these are among the most valuable. They allow me to get away from my desk for a few hours, breathing fresh air and restoring my spirits. I really appreciate having a great bike made specifically for rides like these. A scenic ride in the mountains probably would be fun on any bike, but on these urban rides, a great bike doubles the fun. I used to pull a Burley trailer when I had to carry a box of books, but my rides were more a chore than recreation. On a bike, you meet interesting people. This afternoon, I rode with a young chef from El Salvador commuting to work. (He took the action photos you see above.) We stopped briefly to admire the setting sun on this beautiful autumn day. 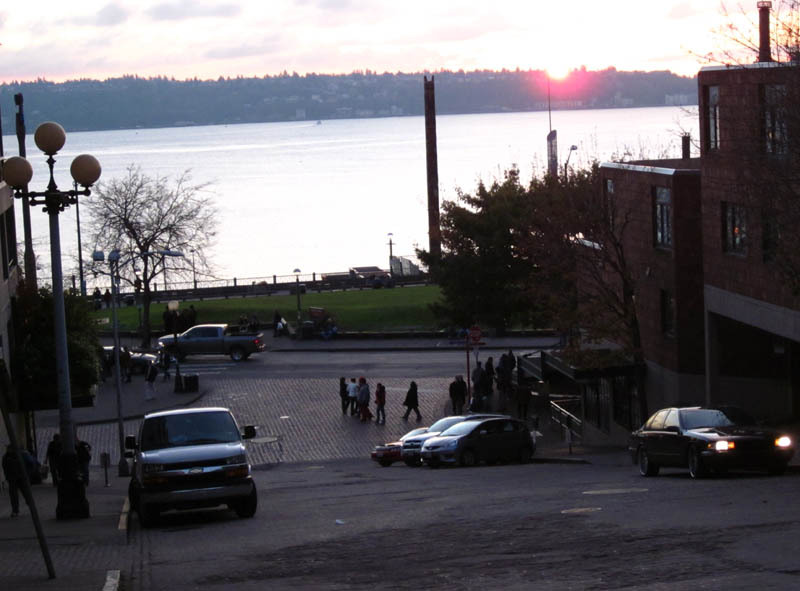 A steep climb took me from the Pike Place Market to downtown Seattle. The road here is rough, but my wide Grand Bois Hetre tires glided across the broken bricks and cobblestones. 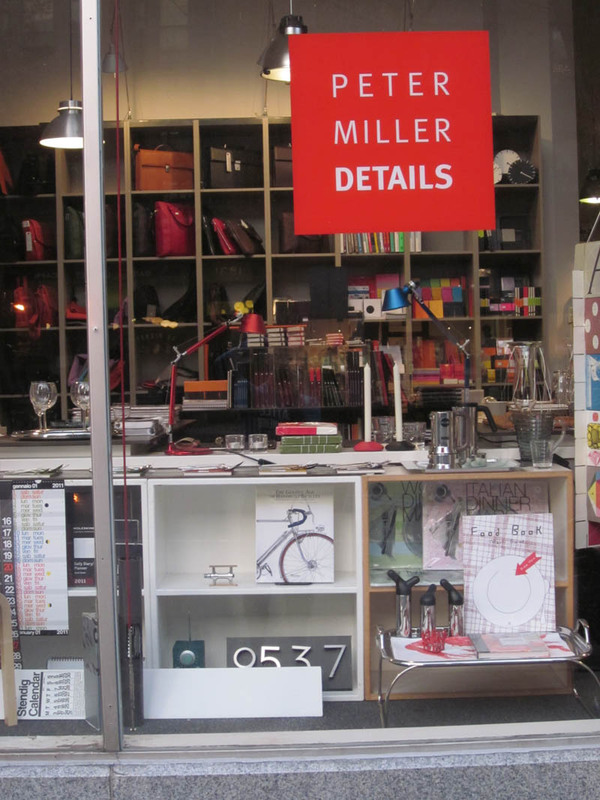 At Peter Miller Books, it’s always inspiring to browse the wonderful architecture and design books on display. It’s even nicer to chat with Peter Miller. 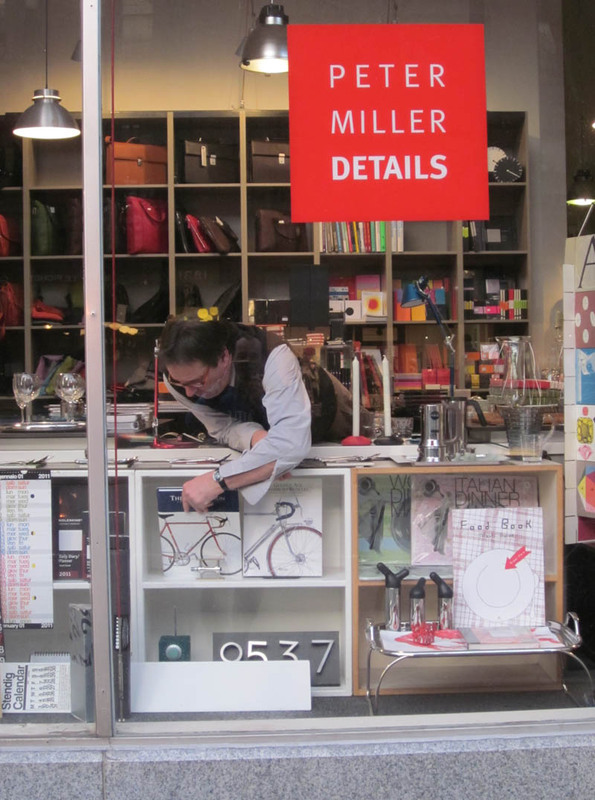 As I headed home, Peter Miller was placing one of the books I had delivered in the shop window. This entry was posted in Our Bikes, Rides, Uncategorized. Bookmark the permalink. Peter Miller is my favorite bookseller as well! 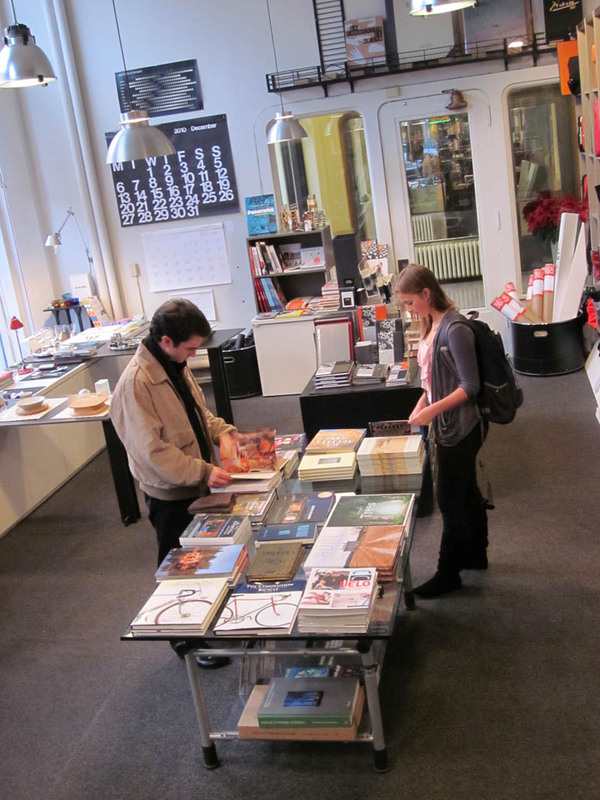 Both for the selection of tasty books and Peter’s pithy observations on architecture and Seattle. My architecture office was directly above his bookstore in the Terminal Sales Building for ten years.